When Kache's family die in a plane crash when he is a teenager, he opts to escape the Alaskan home they'd made together. Years later, when his girlfriend breaks up with him, he decides it's time to return to visit his Grandmother and Aunt and finally confront his past. He doesn't expect to find Nadia, a mysterious woman from an Old Believer village who has been running from her past for ten years, living in his family's home. Nadia has learned a lot about Kache's family from his mother's journals and the two of them begin to share the secrets that have haunted them. The character arcs are satisfying and meaningful, and revelations are well paced. In the way Halverson describes the routines of the homestead there is a real sense of the purity of a life lived off the land and readers can picture the beauty and remoteness of the Alaskan homestead. Tenderly, the author develops relationships between characters which are unforced and believable, whether between Kache and Nadia, or his Aunt Snag her mother. This is a novel about family, home and self discovery. 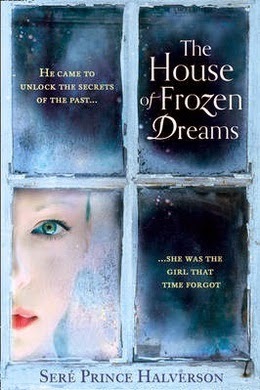 The House of Frozen Dreams deals with the repressed traumas of the past but it is an ultimately hopeful story: the past may be inescapable but the future is ours to own.